This tribute to Dean Martin show is genuinely impressive, his voice well tuned to give the impression Dean Martin is in the same room. 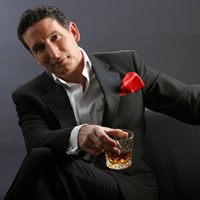 Performances feature state of the art staging which recreate that nostalgic Las Vegas stage setting. 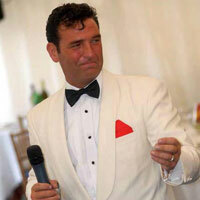 His tribute show can be accompanied with authentic backing tracks or with a live swing band. 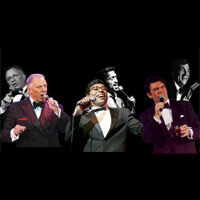 All the favourites and more are performed in this red-carpet cool tribute to Dean Martin, whose top-drawer live vocal performances and a natural ability to swing a song has seen him also become a very popular Dean Martin Wedding Singer. He shares the same look and physical presence as Dino, so if required can also be hired as a full Dean Martin Lookalike or Dean Martin Soundalike (or hire with or without Dean Martin Band) to portray 'in character' his humour, romantic charm and vocal style to great effect. These two guys look like the real deal, sound just like them and also manage to recreate the fun and humour of the show that filled the Copa Cabaret Room at the Sands Hotel, Las Vegas every night during the 1960’s. 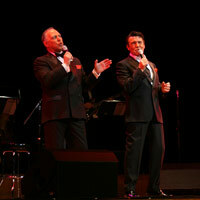 Available to playback or with a fabulous live swing band they are also able to invite along one of their special guests, Barbra Streisand or Lisa Minnelli for an outstanding show.